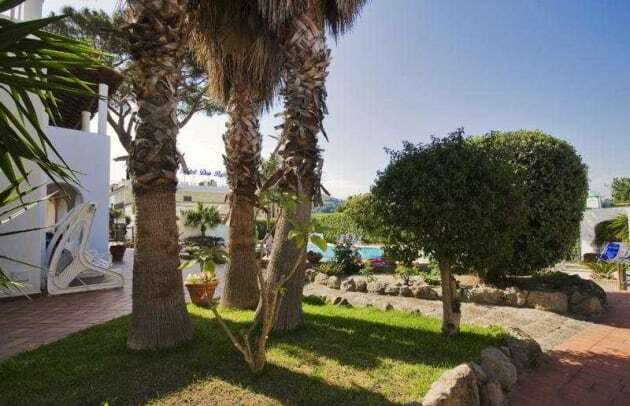 The club resort and spa complex is situated on the island of Ischia. The beach is around 250 m from the establishment and links to the public transport network are on the doorstep. The resort features Moorish architecture and furnishings which have a 18th century Venetian style. Renovated in 2010, the air-conditioned establishment offers a lobby with 24-hour reception and check-out service, currency exchange facilities, a hairdressing salon, a café and a bar. There are a total of 70 guest rooms available. The rooms are furnished partially in Venetian style and partially in modern style and are equipped with an en suite bathroom with either a bathtub or shower and a hairdryer, as well as a direct dial telephone, satellite/cable TV and a minibar. Central heating and air conditioning are available. Rooms with hydro massage tubs are provided on request. The rooms in the cottage annex have an independent outer entrance and are situated 50 m away from the foyer of the hotel. Rooms are furnished with either double or king-size beds. Internet access, a safe and a balcony or terrace are further standard features. At Albergo Terme Villa Svizzera, enjoy a satisfying meal at the restaurant. Quench your thirst with your favorite drink at the poolside bar. A complimentary continental breakfast is served daily from 7:30 AM to 10 AM.